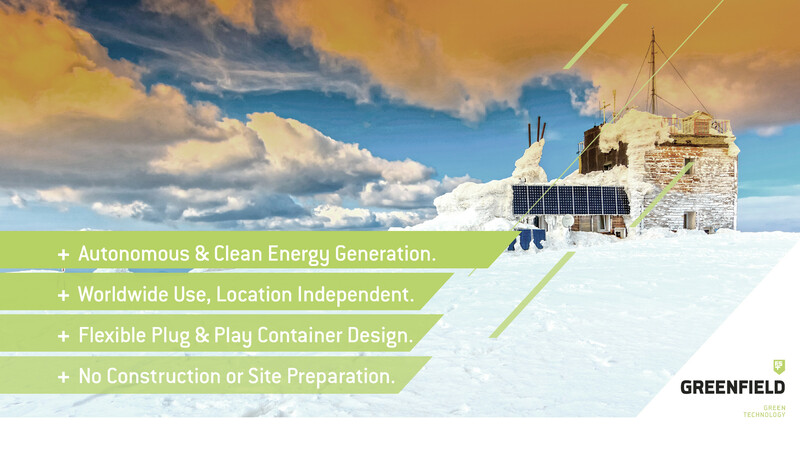 FS GREENFIELD + offers an innovative and modular solution for absolutely clean and self-sufficient energy in undeveloped areas. 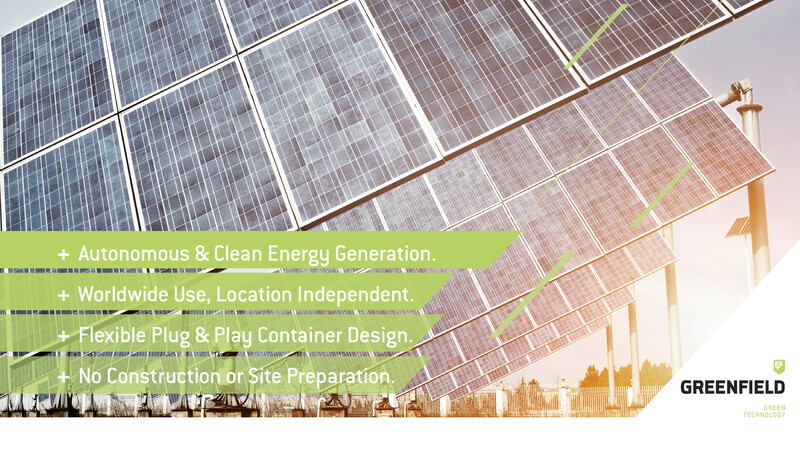 The mobile design of the system ensures autonomous and clean electricity production, 365 days a year without exploration and construction costs, based on free solar & wind, as well as our POWER+HEAT as backup generator and super efficient Mini CHP to feature one of the most versatile & powerful green energy container solutions on the market. The standard container contains everything that is needed to even the most remote places for startup. Deliver FS GREENFIELD+ by truck – setup – connect – ready! Do you need power in remote locations? Are you running a telecom tower and need power? Are you running a facility that requires autonomous electricity? Do you need to generate power where there is no access to the electrical grid? Please feel free to contact us to find out more about our products and solutions and how they can be used to help you & save money. We are looking forward to hear from you.